Canadian Subsurface Investigations (CSi) Inc. provides Utilities Locate, Concrete Scanning and Underground Oil Tank Locates Services in British Columbia, Canada. We are a member of BC One Call and BC Common Ground Alliance (BCCGA). We provide both public and private utilities locate using Ground Penetrating Radar (GPR) and Electromagnetic (EM) locator to detect a variety of underground utilities, including: Gas, Electric, Telephone, Water, Storm, Sewer, Fiber-Optics Cables, and Underground Oil Tank Locates. In addition, CSi also provide Concrete Scanning for mapping rebar, post-tension cables, electrical conduits, radiant pipes embedded in the concrete structures prior to drilling, cutting or coring. 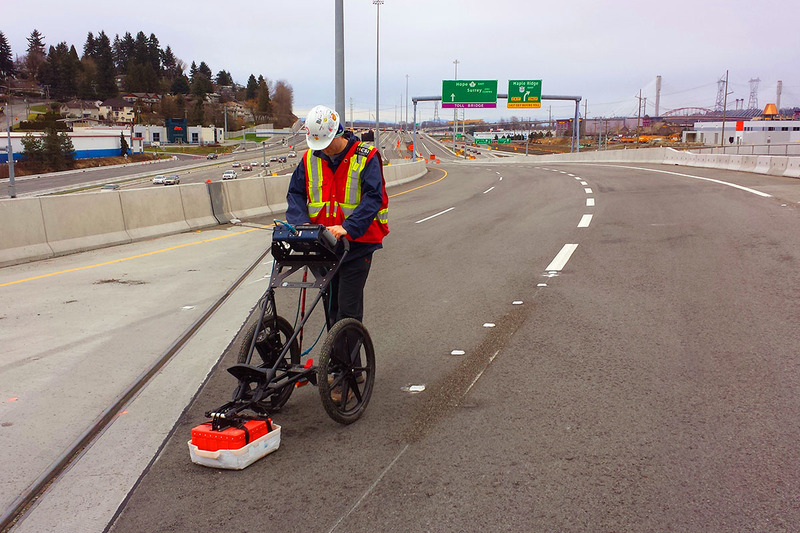 GPR is recognized as one of the most powerful sensing instruments available today. It is a safe, non-evasive technology for concrete scanning and underground utility locates. All of CSi’s technicians have an extensive experience with GPR, as well as a wide knowledge in the Construction Industry. The results from our Technical Services in Utilities Locate and Concrete Scanning service can help you to reduce the high cost of insurance by providing the necessary information at your site. Remember, some contractors will core, cut or excavate without any Utilities Locate or Concrete Scanning, which can be very dangerous by not knowing what lies in the subsurface. This may result in cutting into high voltage power cables, fiber optics, gas lines and more, all of which are costly to repair. As well, you would not want to have “bad” press covering your site or your company.